Sick Building Syndrome: Tired and Stuffy? Think of Your House or Your Office. Sick building syndrome is a term coined to describe symptoms associated with a structure such as an office building or house. The illness is characterized by fatigue, headache and upper-respiratory symptoms (cough, scratchy sore throat, sinus problems, etc.) Although the symptoms usually resolve when a person leaves the offending structure symptoms can persist. The lack of fresh air is associated with respiratory tract irritation, fatigue and headaches. An office building has numerous irritants, the most pernicious of which are volatile organic chemicals. Sources of irritants include off-gassing from carpet chemicals, copying machines, insecticides, cleaning compounds, etc. Engineers are aware of the need for fresh air and are required to provide a certain inflow from external air ducts. However, there is a great temptation to reduce the external air input in cold winter months or hot summer days in an effort to reduce energy consumption. Additionally, air taken from outside vents isn’t necessarily “fresh air.” I have investigated building where the external air intake was very close to the exhaust of diesel trucks that unload supplies for the building. Mold is an additional and quite severe cause of troublesome building-associated symptoms. It can often be suspected by the characteristic odor of mold and is often noted in buildings with excessive humidity or history of water leaks. The emphasis on energy conservation that started in the 1970s and construction advances have resulted in buildings and homes that can be almost air-tight. 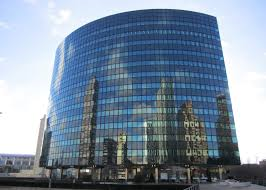 Most new office buildings do not have windows that can be opened. Additionally, the modern home can have very little fresh air intake in hot or cold months when trying to save on heating or air conditioning costs. There is no specific test for sick building syndrome. Definitely suspect this illness as a cause of upper-respiratory complaints that clear up after you leave the building. If you feel well on weekends and poorly during the work week a building with poor air quality might be the cause. Similarly, if you feel better when you are absent from your home and have a return of symptoms when living in the home an investigation into the air quality might be quite helpful. A symptom that is more subtle that is more subtle than a typical building-associated cough or runny nose is fatigue. Of course, fatigue in the workplace or home can be due to innumerable physical or psychological causes. However, keep in mind that that poor air quality can cause serious fatigue. Careful observation of symptoms, the timing of the symptoms and the location can help determine in an office building or home is the cause.